The Emma Tote from Bonjour Teaspoon will be perfect for day trips and fun outings with friends! 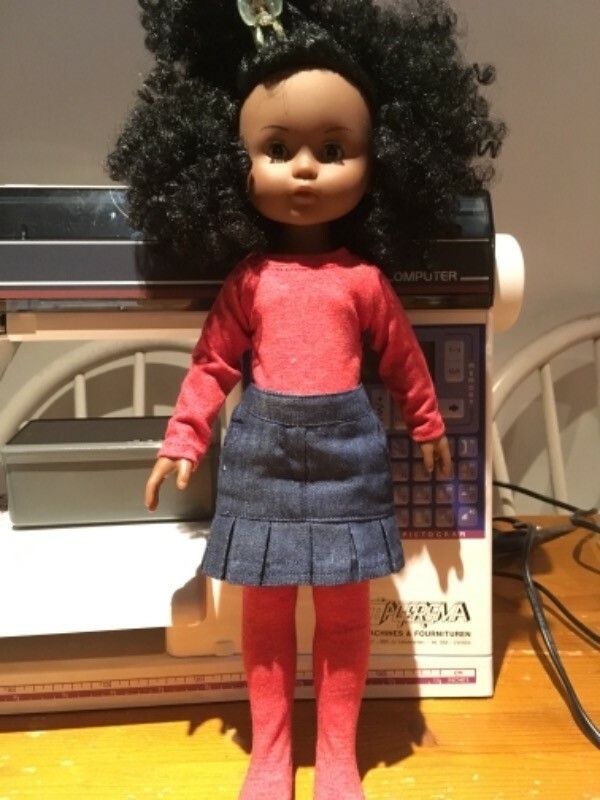 This bundled package offers a tote designed to be used with 18 inch dolls such as American Girl®, (and will also work with most other dolls that we sell patterns for) and a matching tote for girls! This Emma Tote pattern for doll and girls are also sold individually at Pixie Faire. -1 yard each of two separate fabrics such as quilting cotton, canvas, denim, or broadcloth. 44" - 60" wide. What You Get: One 15 page and one 17 page sewing pattern that you digitally download as a PDF file so you can start your project immediately! The PDF sewing pattern provides full color step-by-step illustrated instructions and full size pattern pieces. A PDF reader is required to view and print the files (example: Adobe Reader or Preview for MAC). The download link is received immediately after the transaction is complete. Print copies are NOT available. Totally adorable pattern. Very detailed. Great instructions. It was easy to sew with clear directions. I made it for my Cherie doll from Corolle and it fits her perfectly.